At a 2 P.M. press conference, the Spokane Chiefs announced that General Manager Tim Speltz will step down from his position at the end of the month. The reason? 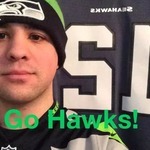 Speltz is accepting a front office position with the NHL's Toronto Maple Leafs. Initially reported by TSN's Guy Flaming of The Pipeline Show on TSN Radio 1260 in Edmonton, Speltz has been hired as Toronto's Director of Western Area Scouting. According to the Chiefs' press release, he will be involved in the team's scouting efforts in the NHL, AHL and WHL. Before he leaves for Toronto, Speltz will remain with the Chiefs through training camp, which runs August 25-28, and will the team during the transition period for their new GM, who the team is actively searching for at the time of this report. The 57-year-old Speltz, who hails from Medicine Hat, AB, was the GM for the hometown Tigers from 1988/89-1989/90 before accepting the GM position with the Spokane Chiefs in 1990. In 26 years as Chiefs GM, the organization has won 961 regular season games, including 10 seasons of 40 or more wins, 2 seasons of 50 or more wins, and 4 seasons tallying 100 or more points. The Chiefs have been successful in the playoffs, making the postseason in 23 of his 26 seasons and winning 142 playoff games. The team has made four WHL Finals appearances, winning twice in 1991 and 2008. Those same seasons, the Chiefs won the Memorial Cup. 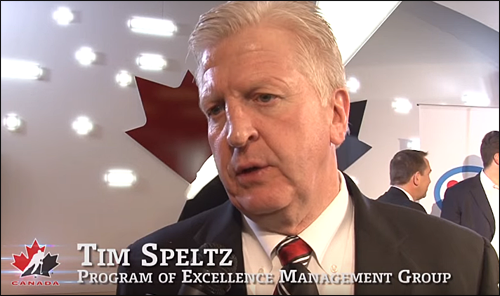 In addition to his winning resume, Speltz was twice named the WHL Executive of the Year in 1995-96 and 1999-2000, and once named CHL Executive of the Year in 1995-96. He's spent the past few seasons as part of Hockey Canada's "Program of Excellence" group for the 2014 Under 18. where Team Canada won the gold medal. Recently, he was involved in Hockey Canada's management group, including the 2016 IIHF World Junior Championship. Speltz will re-unite with former Spokane Chiefs head coach Mike Babcock (1994/95-1999/2000), who is currently the head coach of the Maple Leafs. According to TSN Hockey Insider Darren Dreger, the long history between Speltz and Babcock was a factor in his hiring. “Today is a very special, albeit bittersweet, day for me. I am immensely proud of what we’ve been able to build in Spokane and I am confident that the organization will continue to experience success under the guidance of Bobby Brett and the entire Chiefs staff. "The opportunity I’ve been presented with by Toronto is extraordinary and is something that I couldn’t pass up, I am excited to take on a new challenge and get started with such an iconic NHL franchise. I am also very grateful that I’ll be able to assist in the Chiefs’ transition to a new general manager as well as continue to call Spokane home for my family." "There are so many people to thank and too many to mention to adequately express my appreciation for this organization, our staff, both past and present, the city of Spokane and our great fans." Information from the Spokane Chiefs PR and TSN was used in this report.